Herbert H. Clark has been at Stanford University since 1969 and is currently Professor of Psychology. He received his PhD from Johns Hopkins University and then taught briefly at Carnegie-Mellon University. Since 1969, he has taught at Summer Linguistics Institutes at UC Santa Cruz, University of Illinois at Urbana-Champaign, Michigan State University, and Stanford University. He has also spent two sabbatical years at University College London and three at the Max Planck Institute for Psycholinguistics, Nijmegen, the Netherlands. He is currently on the Fachbeirat (Advisory Board) of that Institute. Clark was a fellow at the Center for Advanced Study in the Behavioral Sciences and a recipient of both a John Simon Guggenheim Fellowship and a James McKeen Cattell Sabbatical Fellowship. Among other honors, he has been elected Fellow of the American Academy of Arts and Sciences, Foreign Member of the Koninklijke Nederlandse Academie van Wetenschappen (Royal Dutch Academy of Arts and Sciences), and Fellow of the Society of Experimental Psychologists. Herb is a psycholinguist whose work on the cognitive and social processes of language use has significantly impacted many disciplines. Herb has led the field of discourse processing by highlighting that language use is simultaneously individual and collective, laying out the fundamentals for a theory of joint action. Herb is widely recognized for his breadth of vision, rigor, challenging of others’ starting assumptions, and ability to think across disciplines. Herb flexibly crosses the boundaries between psychology, linguistics, statistics, philosophy, conversation analysis, anthropology, artificial intelligence, and human-computer interaction. 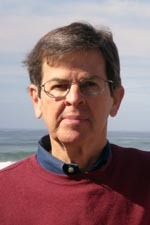 As a testament to his intellectual contributions, Herb’s impact is not only astonishing in psychology (his top citation in Google Scholar has close to 3,000 citations and he has an h-factor of 50) but has spread far beyond his home discipline, with unusually high impact outside academia in the computational and design worlds. Herb’s distinguished scientific contributions include the textbook co-authored with Eve Clark, Psychology and Language, upon which generations of psycholinguists were reared, and his mid-career capstone book Using Language. A summary of Herb’s accomplishments would be incomplete if it did not mention one of the things that people who know him value most: He is an outstanding mentor, collaborator, and colleague. His ability to approach people and ideas with intelligence, respect, and a sense of humor has enriched the field in ways that no written archives can record. * The FABBS Foundation would like to thank Dr. Jean E. Fox Tree and Dr. Arthur Graesser for nominating Dr. Clark for this honor and for leading the effort to spread the word about his nomination. Would you like to honor Dr. Clark? It’s not too late to have your name added to the list of donors! You can make your donation to Dr. Clark’s In Honor Of… campaign at anytime.